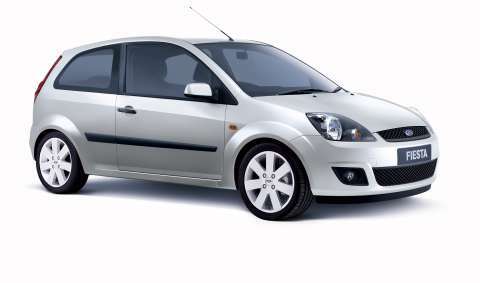 Ford Australia's new 2006 Fiesta range is now complete, following the addition of the sporty Zetec models to the line-up. First shown at last year's Australian International Motor Show in Sydney, the new German-engineered Ford Fiesta range receives a distinctive new look with revisions to exterior styling, fresh interiors, vibrant new colours and an impressive list of features. As with the LX and Ghia models, which went on sale in January, the Zetec variants have also received new body-coloured bumpers front and rear, a new grille design, new headlamps, new rear tail lamps and new tapered side body mouldings, which are also thicker to offer better protection. The Zetec also features the new Fiesta's redesigned interior, which concentrates on improving the feeling of quality and space. Highlighted by its stylish new fascia, the fresh interior delivers a new instrument cluster face with easier to read dials and a new audio system, both of which showcase the family-look of Ford's small car models, Fiesta and Focus. In addition to the new audio system, manual transmission Fiesta's are fitted with a convenient input facility for an iPod® or MP3 player. There is also a new soft-feel upper dash section, as well as new switches and controls with improved ergonomics and appearance, and new style air outlets that produce a flush finish when closed. A new seat trim fabric and design completes the Zetec interior and is offered in a selection of modern colours combinations – Moonlight Sapphire, Moonlight Ruby and Moonlight Jade – depending on the exterior paint colour. Three vibrant new paint colours have been introduced with the release of the WQ Fiesta range – Tango, Jeans Blue and Sea Grey – all of which are available on the Zetec. However, in addition to the host of exterior and interior styling and design improvements, the Fiesta Zetec also boasts some unique features to appeal to the enthusiast driver. Sports suspension heads the list of mechanical upgrades and is complemented by larger diameter wheels fitted with low profile tyres and a set of revised gear ratios for the manual transmission. Zetec now rides on 16-inch seven-spoke alloy wheels as standard, fitted with 195/45 R16V low profile tyres, while the manual transmission features a revised, closer-ratio gear set. Coupled with the Fiesta's 1.6-litre Duratec 16-valve all-alloy engine, which produces 74 kW of power at 6,000 rpm and peak torque of 146 Nm at 4,000 rpm, the new manual transmission improves the Zetec's acceleration and responsiveness. An 8.6 per cent lower first gear greatly improves launch feel, while an 11.4 per cent lower fourth gear enhances responsiveness in the cut and thrust of city traffic. "Fiesta Zetec offers a spirited and performance orientated driving experience," said Ford Australia President Tom Gorman. "This list of new sports features will further enhance the Fiesta's already impressive reputation for superior driving dynamics, which are a hallmark of the Ford DNA that's inherent in sports models across the entire Ford vehicle range." Despite the raft of improvements and upgrades applied to the new Fiesta Zetec, pricing remains unchanged for the manual transmission model at $18,490*, while the automatic transmission Zetec is now available for $800 less than its predecessor, at $19,990*. * Recommended retail pricing excluding dealer delivery and statutory charges.